Facebook floated the idea of building a brand new mobile operating system for its new Home platform, a senior company engineer revealed on Tuesday. The social network considered three ways to introduce Home; a custom-built OS, a forked version of Android as many had expected, or the recently-launched custom UI that sits neatly on top of Android. Of course, the company went with the final option, but Facebook's director of mobile engineering Cory Ondrejka admitted that prototypes existed for all three eventualities. He said: "[Home] was about making an experience that flows through friends and people. We saw three ways that we could do this. One, we could go and build an operating system. Second, we could dig into Android deeply in order to see how we can we fundamentally change / fork Android to make it different. Or, we could build an app to make it different." Speaking at the D: Dive Into Mobile conference, Ondrejka said the first two options were ditched out of a desire to reach as many people as possible with Facebook Home. "The OS path was the least fleshed-out of the paths. Mark [Zuckerberg] talked on launch day that he wanted to build something for everyone. It's hard to get to the type of scale that's necessary for us [when building an OS]. We wanted Home in front of hundreds of millions of people - even a successful OS would only give that experience to a few of them," Ondrejka, who was joined on stage by Facebook CTO Mike Schroepfer, added. The pair also discussed the plans for future roll outs, admitting Facebook Home has been tested on tablets, but will not arrive until it becomes common place on all Android phones. 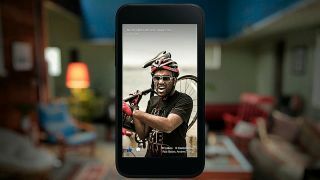 They also revealed that the first Facebook Home update for Android is coming in May. Earlier today we brought news that the company was releasing the Facebook Home suite for select Android devices on Google Play stores around the world.